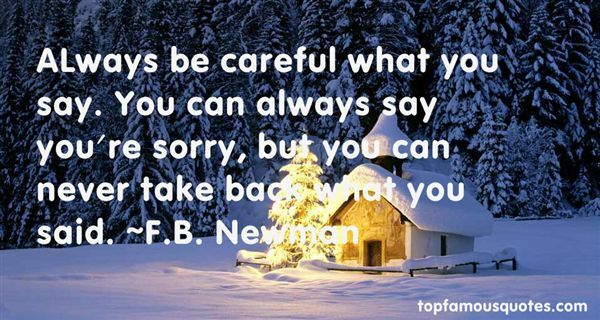 Reading and share top 1 FB Newman famous quotes and sayings. Browse top 1 most favorite famous quotes and sayings by FB Newman. He was sound asleep, his long legs stretched out in front of him, the blessed fire blazing, an empty bottle of wine by his side. He hadn't been shaved recently, and he looked rumpled, dissolute and beautiful. Likea fallen angel. She moved to stand in front of him and pointed the pistol directly at his heart. "I wouldn't do that if I were you," he murmured, and then he opened his extraordinary eyes. "It's alwaysunwise to shoot the man you're in love with."